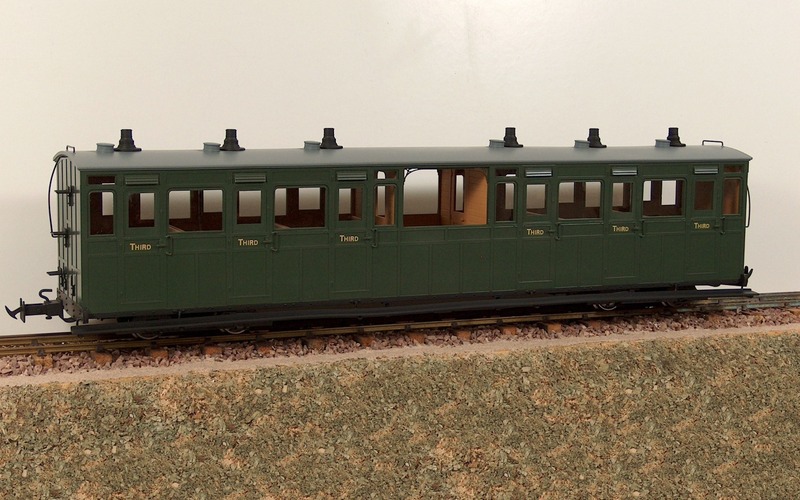 The Lynton & Barnstaple Railway had its original rolling stock manufactured by the Bristol Wagon & Carriage Works. 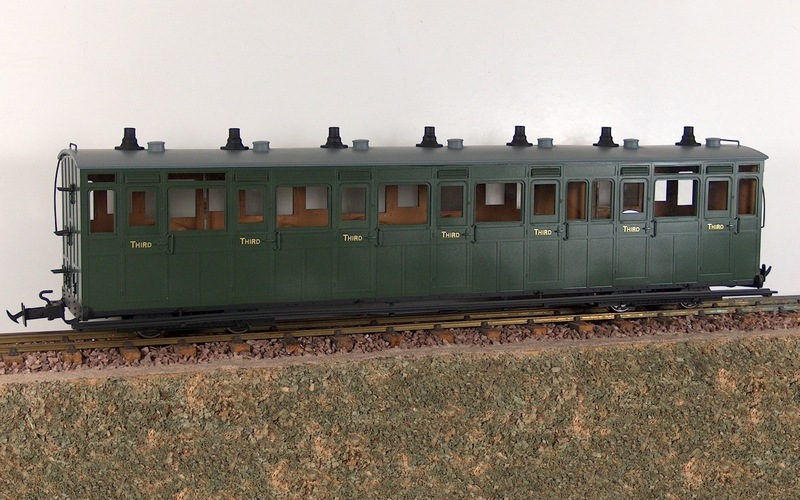 The coaches were built to a very high standard and came in a variety of forms, some of which were modified during their careers on the line. Following closure in 1935 many were sold off and found alternative use as summer houses and sheds. 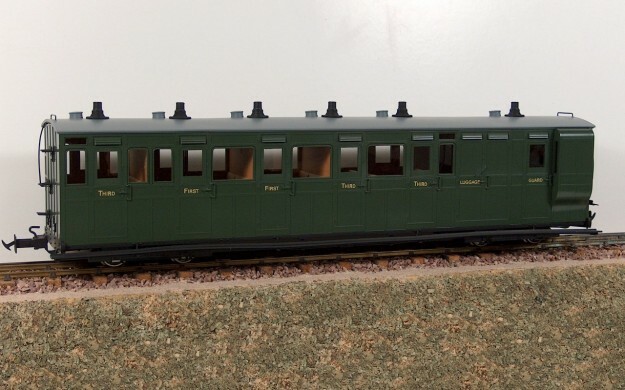 Remarkably nine coaches (or parts thereof) survived, one is running on the Ffestiniog Railway, one (largely un-restored) is in the National Railway Museum and the rest are in the care of the re-born L & B in various stages of restoration. The models are constructed in plastic with die cast metal bogies and feature full seating detail. 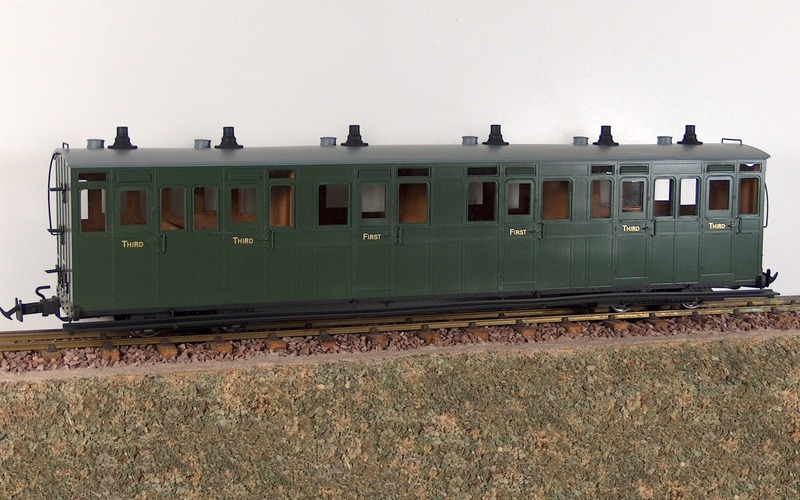 The coaches come with a 45mm insulated wheel set fitted but a 32mm wheel set is provided for use on ‘0’ gauge. Couplings are chopper type but have a hook fitted if you wish to remove the chopper hook and use 3 link chains.